I remember reading this book when I was in grade school. My recollection of the story was blurry and I kept on mixing the story up with The Chrysalids. So in this book, Earth’s population has changed dramatically. 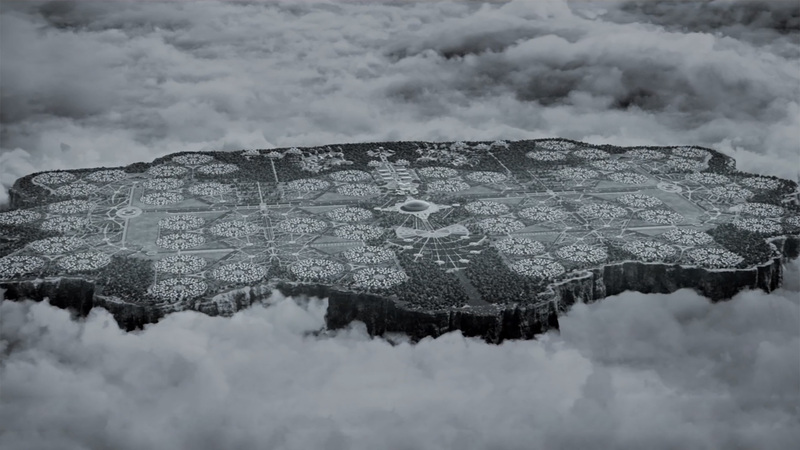 The world is divided into several communities located high up on a plateau among the clouds. The rest of earth is abandoned. In this new world, there is no knowledge of pain, hunger, hate or anything unpleasant. People are taught to be polite. There is no such thing as love or any other emotion for that matter. “Happiness” exists but not true happiness. The movie starts without any color, which may confuse a viewer, but once the main character (Jonas) starts realizing that there is more to life than what their elders would have them believe, the world becomes colorful in Jonas’ eyes. I think this is a nice touch. It reminded me of The Wizard of Oz when Dorothy goes over the rainbow. I think the acting is spectacular. It is the kind of movie that can be understood without reading the book. It didn’t seem rushed at all. Jonas was an awesome character and really likable. I genuinely wanted him to succeed. I’ve had my share of dystopian themed movies/books and this one is the first one that started with people who were somewhat happy with their lives. It’s not like in the Hunger Games where people were scrounging for food or fearing for their lives. But maybe this movie is even more creepy because nothing is what is what it seems. Even the meaning of death is not quite known. Death is carried out as a regular task as if life itself didn’t really matter. The elderly are released after they have reached a certain age and it is not stated specifically what happens to them but later on one can only guess that they are executed. “Planned deaths” is how they control population. If there are twin babies, the lighter one is killed by lethal injection. These appalling acts were meaningless to those who committed them. Jonas’ dad was even one of those who snuffed out innocent lives. People were essentially being brainwashed into thinking that the government has the right to control their lives. And it doesn’t help that each any every citizen has to get a daily dose of a serum in a form of an injection. No one really knows what’s in it but they do it because they are told to. The serum seems to numb the senses and stops emotion all together. It pretty much turns a normal human being into a robot. When one stops taking it, life’s truth is seen so clearly. When Fiona first stops taking her injections she starts to believe Jonas….that they are all living this fraction of a life. This was overall a very good film. It makes you think about our own reality. What if something similar happened now? What sort of world would we live in if the governments of the world united and formed this society devoid of any emotion? I mean, it makes sense to an extent. Emotion makes us do stupid things….things we might not have done if we were clear headed. Love, for example, makes us think with our hearts and not our heads. What do you think about all of this? *Note: Based on a scale from 1 to 10. 1 being the worst and 10 being the best you could get in a category.